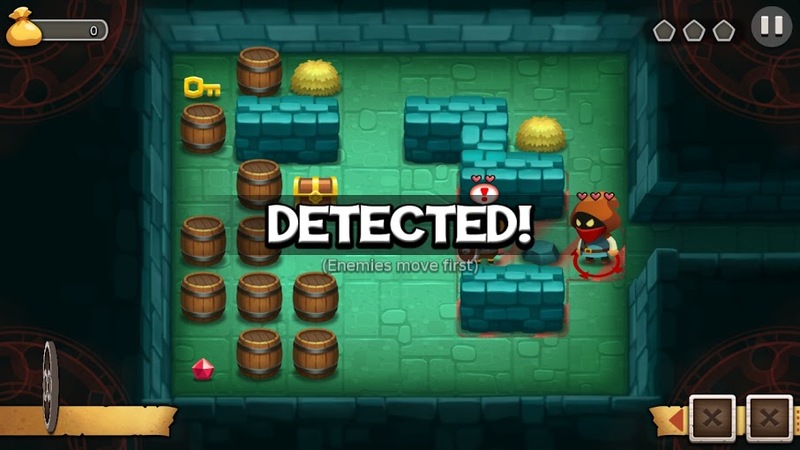 Sneaky Sneaky is combining stealth, action, puzzle and turn-based strategy elements into a somewhat casual new adventure. We played a preview build to see how all these individual parts blend together. The team behind Sneaky Sneaky is indie studio Naiad Entertainment, a small team with experience at EA, Retro Studios and Popcap Games. 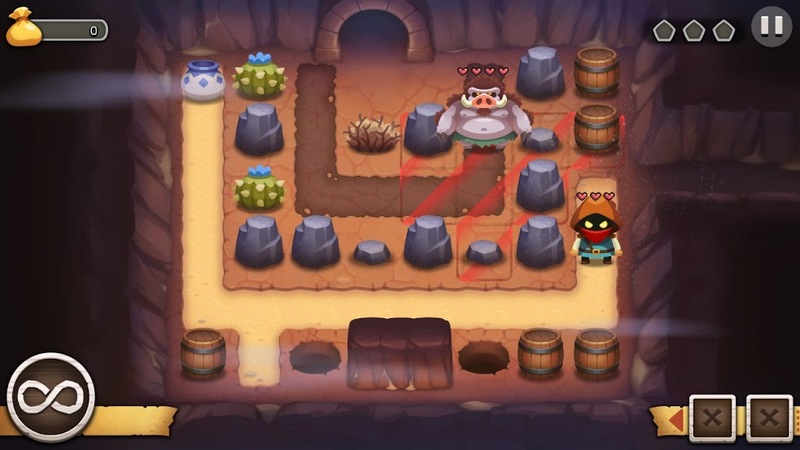 Their new project has us controlling a thief trying to get through levels of increasing difficulty while nabbing as many gems along the way as he can. It’s a tile-based game, but quite different from Chuck’s Challenge which we recently reviewed. In Sneaky Sneaky, as the name suggests, stealth plays an important role. You can play the game trying to avoid as many enemies as possible, but you can also go on the offensive. Rushing head first into danger is a clear recipe for disaster, but luckily there are plenty of ways to surprise your opponents. You can hide in a bush and perform a stealth attack from there, or you can hide outside their line of view and stab them in the back when they turn away from you. Attacking an enemy from a distance triggers a whole other game mode: turn-based strategy. The same mode can also be triggered if an enemy spots you, with the difference being that they get the first turn in that scenario. In turn-based mode, you get movement points that you can use to either get away or to go on the offensive. How strong your opponent is, or how many there are, play a crucial role here – as does the number of hits points you can deliver. The environment can also be a factor here, as you move slower across loose sand than you do across solid ground. Finally, some (very light) rpg elements play a role as you can level up your character in terms of damage dealt and movement points – while also utilizing your inventory. Sneaky Sneaky does indeed offer stealth, action and puzzle elements in one little package – but it should be mentioned that all these come in a ‘light’ dose. It’s a casual game that will no doubt also play well on tablets when you look at the control scheme (essentially a combination of swiping and tapping, even with a mouse). Nevertheless – the game is fun to play and very accessible, though perhaps a little on the easy side in the levels we’ve played so far. If you’re a die hard fan of the genres that this game combines then perhaps the experience is underwhelming, but if you’re a casual fan then Sneaky Sneaky is shaping up to be a fun time-waster this holiday season.